This weekend I published scans of over 2000 historical playbills for the Theatre Royal in Bath. Here are some notes on whey they come from and how they might be useful. The scans are all available on Flickr and have been placed into the public domain under a CC0 waiver. You’re free to use them in any way you see fit. The playbills date from 1812 through to 1851. This is the period just before the fire and rebuilding of the theatre in its current location. The scans are taken from 5 public domain books available digitally from the British Library. All I’ve done in this instance is take the PDF versions of the books, split out the pages into separate images and then upload them to Flickr, into separate collections. This is a small step, but will hopefully make the contents more discoverable and accessible. The individual playbills are now part of the web, so can be individually referenced and commented on. For example there are some great images in the later bills. 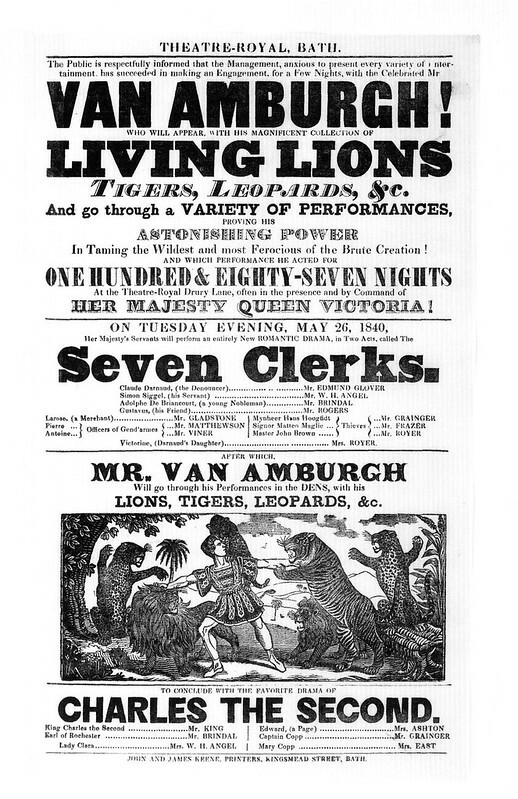 And I learned that in 1840 you could have seen lions, tigers and leopards. 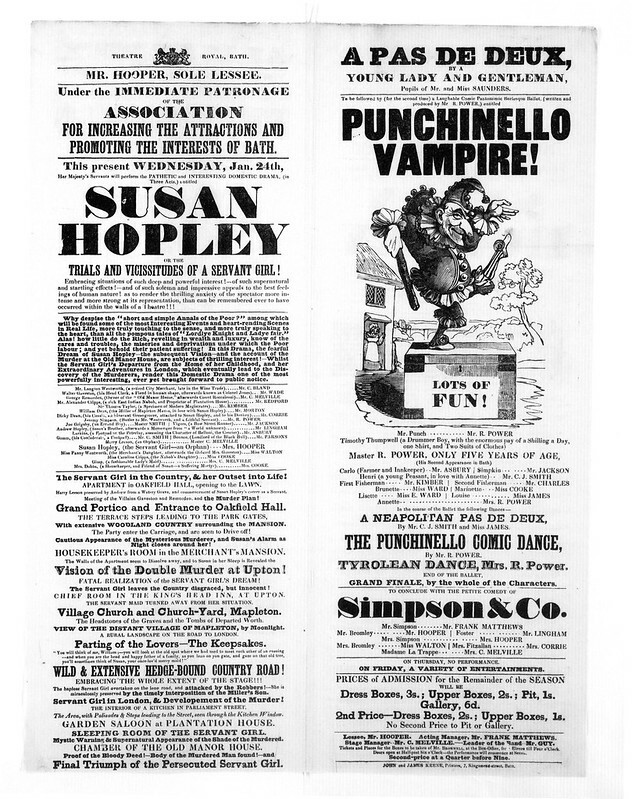 And this playbill includes detail on the plot and scenes from a play called “Susan Hopley” and an intriguing reference to “Punchinello Vampire!”. As they are all in the public domain, then images will hopefully be of interest to Wikipedians interested in the history of Bath, the theatre or performers such as Joseph Grimaldi. (I did try adding a reference to a playbill myself, but had this reverted because I was “linking to my own social media site”). There’s a lot of detail to the bills which it might be useful to extract. E.g. the dates of each bill, the plays being performed and details of the performers and sponsors. If anyone is interested in helping to crowd-source that, then let me know!